Prof.Dr.K.Natarajan graduated from Sri Ramachandra Medical College( SRMC ), Porur, Chennai in 1994 and completed his MS (General Surgery) in 1997. He completed his FRCS (Ireland) (General Surgery) and FRCS (Edinburgh) (General Surgery) in 1998. After getting FRCS from Ireland and Edinburg, he completed his M.Ch (Genito – Urinary Surgery) from Kasturba Medical College in 2002. After acquiring M.Ch from Kasturba Medical College he worked as an Assistant Professor, Department of urology at Kasturba Medical College, Manipal, Karnataka. Then after he promoted as Professor, Department of urology at Kasturba Medical College, Manipal in 2009. 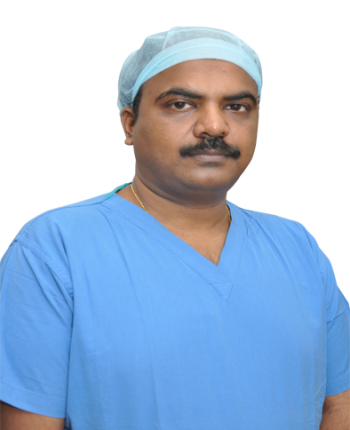 At present he is working as a Professor, Department of Urology, Sri Ramachandra Medical College, Porur, Chennai and Senior Consultant at Xcellent Care Hospital, Velachery, Chennai. 7th Cross Street, Rajalakshmi Nagar, 100 Feet Velachery Bye Pass Road,Near Velachery Lake,Velachery, Chennai – 600 042. Tamil Nadu, India. +91 – 44 – 4000 0006.